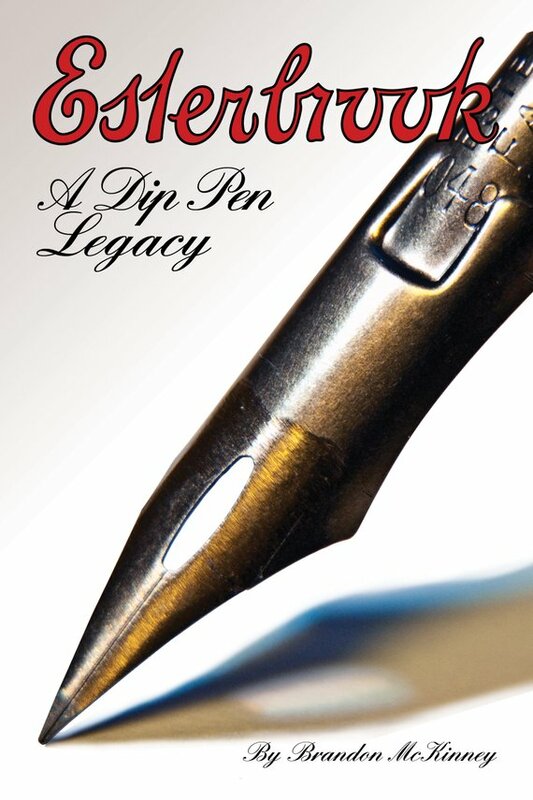 Brandon McKinney is a collector of Esterbrook's steel dip pens, and he has finally finished his book on the subject. I have corresponded with Brandon for a couple of years now and he has helped me better understand my collection and Esterbrook. Other than that, I have no connection with him, and I am writing this review based on my personal copy of the book which I purchased myself. The book covers several major types of information. 3. Chronology of the pens and their boxes. The history is a sketch just to set context, and is not meant to be complete nor thorough. There are some interesting pieces of general information including a list of presidents, office locations, and patents and trademarks that are useful. The sections on the pens themselves better show the great care and time Brandon has spent looking at the pens, especially important numbers like the flagship 048 Falcon and the 128 Extra Fine Elastic. For collectors, it's the sections on the chronological dating of nibs and boxes that is the most useful and is not found anywhere else. I have been using this system for dating Esterbrook's steel pens for over a year now with my own collection and research. So far, I've not found any problems with his system. I have found one example of a stamp he does not have, but it's a very rare copper-coated example he and I are still trying to figure out. For 99.9% of all of the examples you will find in the wild, his system of dating to general eras will work perfectly well, and combined with his description of how the earlier differed from some of the later pens, should help you find just what you're looking to add to your collection. Overall, despite a weak area here and there (especially the history, but then the history is my area of interest, so I'm not sure how much would be enough), and I may not agree with every conclusion Brandon has (see the "gravity well" section), and the very rare error (the 314 Relief was made of a brass alloy, not bronze), the book is a highly welcome and useful resource for anyone interested in Esterbrook and their steel pens. You can purchase the book from his Etsy store in either a digital version, or a limited-run physical copy. Edited by AAAndrew, 01 October 2018 - 15:39. Where is it documented to be brass (CuZn) rather than bronze (CuSn)? They can be difficult to distinguish by color with some of the alloys. I'll try to find the reference that explicitly cites these as a brass alloy, but these as well as the Colorado and other "indestructible" pens are made of a brass alloy trying to reproduce "pinchbeck," a brass allow imitating gold invented by a jeweler in England named Pinchbeck. The material actually has a fairly interesting story. When Pinchbeck made it, his technique was so close to gold that France outlawed anything made of it larger than small ornaments, as they were afraid people would be defrauded. The technique to make the real stuff seemed to have died out with his son, but people continued to make an attempt at making it to greater and less success. Any bronze I've seen also tends to be much stiffer than this very soft brass that they made the pens out of. I just picked up a copy at this weekend's Dallas show, and look forward to reading it! "Any bronze I've seen also tends to be much stiffer than this very soft brass that they made the pens out of." True, which is why bronze was used for bells rather than brass. And, now that I think about it, bronze is usually used in its cast form whereas brass ingots can be readily forged and rolled into foil. I would like to know the specific alloy used for these nibs. Edited by corgicoupe, 01 October 2018 - 22:30.